The second annual Hmong Festival celebrated on the weekend of 28 and 29 July 2018 in Wausau, Wisconsin, has attracted more than 8,000 visitors. 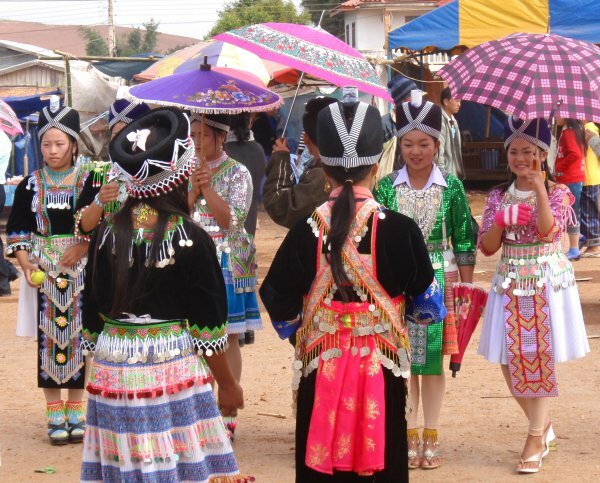 The two-days festival aims to celebrate the Hmong culture in the community of Wausau, where the Hmong people make up for 12 percent of the population. The events at the festival include singing and dancing competitions, sports tournaments and flag football. In 2017, the festival drew more than 8,000 people from around the country and generated a total of $1.03 Million in economic impact. This being the second year of the festival, many of those in attendance were shocked to see how much it has grown in a year. Torress traveled from Manitowoc for the weekend so she can participate in the fun. Until Sunday evening there are a variety of competitions such as singing, dancing, sports tournaments and flag football. Teams come from all over the world to compete. “I love that I can celebrate my culture and spread awareness,” stated Melissa Yang as she walked with her friends down a row of vendors. Located at the Eastbay Sports Complex, attendees have set up camping sites so they can spend the night. "This event shows the relationships the Hmong community has with the central Wisconsin community,” said Yee Leng Xiong, Chairperson of the Wausau Hmong Festival. The event runs from Saturday, July 28 and 29 from 8 a.m. to 11 p.m.